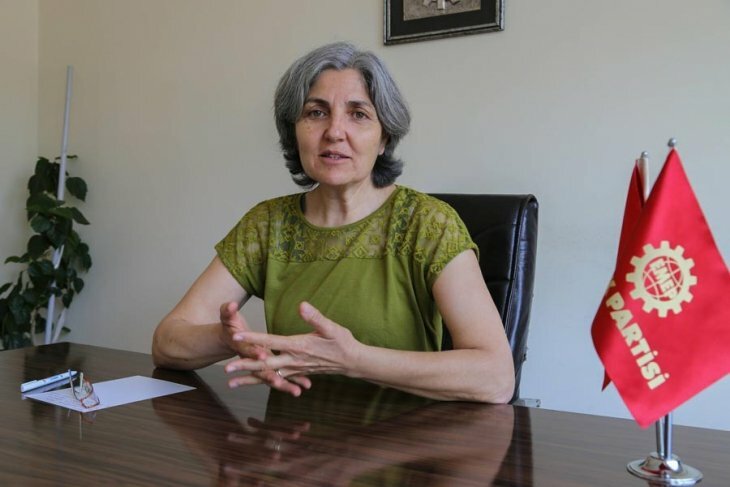 Making his recommendations at the proceedings in which Labour Party (EMEP) Chairwoman Selma Gürkan is being tried on “terrorist organization propaganda” charges, the prosecutor sought Gürkan’s imprisonment for up to seven and a half years. A trial on “terrorist organization propaganda” charges was brought against EMEP Chairwoman Selma Gürkan for the speech she made in front of the judicial complex at the first hearing of the trial in which the detained EMEP members Neslihan Karyemez and Bilal Karaman are undergoing prosecution for distributing “No to war” leaflets in Istanbul. The second hearing of the trial in which Gürkan is in the dock was held at Istanbul Serious Crime Court No 26. Her lawyers Devrim Avcı, Yıldız İmrek, Kamil Tekin Sürek, Leyla Han Tüzel, Gülşah Kaya and Mustafa Söğütlü were in attendance at the hearing which Gürkan did not attend. The hearing commenced with the reading of the old records due to a change of bench. Then the hearing prosecutor Hakan Özer submitted his recommendations on the merits. Gürkan’s lawyers requested time to make statement on the merits. Granting the request for time, the court adjourned the hearing until 24 April. Turkish government started a military intervention in Afrin in January 2018; fanning the flames of war in Syria. This was an operation named ‘Olive Branch’. 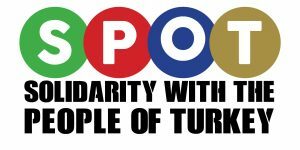 The Labour Party (EMEP) has always been critical of this intervention in a neighbouring country, as other democratic forces in Turkey. EMEP stated and ran a campaign of propaganda that this intervention will contribute to turning the region into a quagmire of war; that all military forces, primarily the imperialist forces, must withdraw from the region; that peoples of the region must determine their own futures. However, the government defined this intervention as war and attempted to silence all those that are opposed to it. 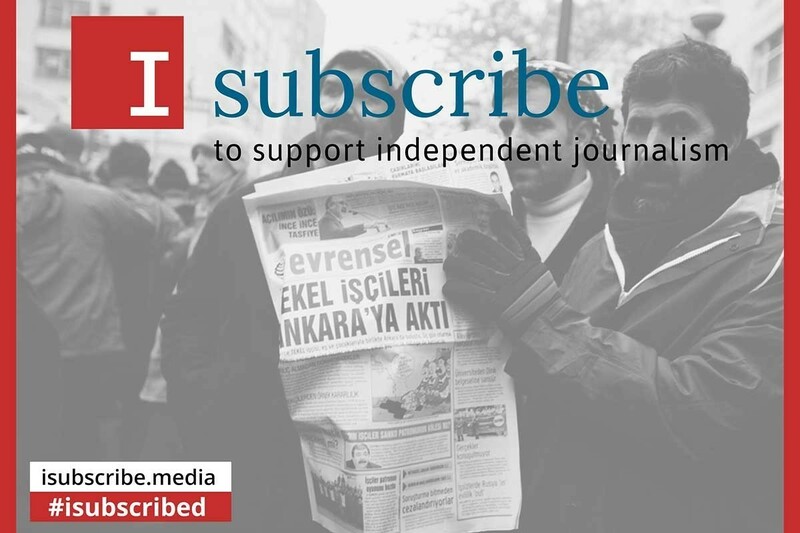 16 members and administrators of EMEP had been arrested for sharing news bulletins and statements on social media; they have been freed after their first hearing.